At Constellation, we believe that the best poverty-fighting solutions are those closest to the challenge, and work to identify and support the people and community partners having the biggest impacts. 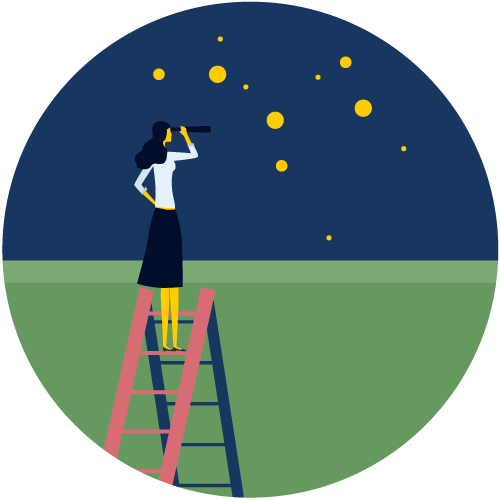 Through our collaborative grantmaking process, Constellation works to understand the poverty-fighting outcomes of prospective grantees, and then partner with organizations to increase effectiveness. Our grantmaking process results in a better understanding of which organizations are having the greatest impact and how we can best support those leading the fight against poverty. Current and prospective grantees will work with Constellation staff to build or build upon an existing theory of change model. We then work diligently alongside grantees to measure and grow impact. We value transparency throughout this process and see it as a learning opportunity for both Constellation and potential grantees. Working with applicants as trusted partners, Constellation staff will develop an impact assessment report and share this with applicants whether a grant is received or not. The report will assist organizations in better communicating their impact and defining any areas where improvements are possible. An evidence-based impact report can cost organizations tens of thousands of dollars. We believe offering this asset at no cost is critical to building the capacity and efficacy of organizations working to alleviate poverty in the Twin Cities. Constellation places value on partnerships developed with applicants and grantees. Whether or not a first-time application results in a grant, we hope to remain in contact should there be future opportunities for collaboration. Constellation supports organizations operating to alleviate poverty in the seven-county Twin Cities metropolitan area. Organizations must yield demonstrable results for those living below 185% of the federal poverty line in our community. At this time, we do not make grants to individuals, nor do we make program-related investments or provide event sponsorships. Constellation is in the pilot stage of its development and is not currently taking applications for funding. In the coming months, more information will be made available on our website about our application and selection processes. In the meantime, to stay up-to-date on our progress, please fill out the contact form below. We look forward to partnering with you to advance poverty-fighting solutions in the Twin Cities!